The B2B display fixture manufacturer anticipates even more growth in 2011 due to improved site features and more custom fixture products. 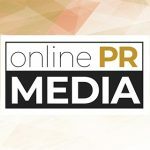 Online PR News – 11-March-2011 – – 2010 brought a 52% increase in sales for Access Display Group (ADG), a leading designer, manufacturer and distributor of changeable poster displays, sign frames and other signage display frame fixtures. 2010 was a busy, productive year for ADG. In addition to increasing its sales by 52% from 2009, the company was also ranked among the fastest growing private companies in America for the second year in a row, according to Inc. Magazine. The company was ranked #7 among manufacturers in New York State. ADG attributes its most recent successes to the creation of 11 new niche websites, each targeting a specific display category. About 80% of the company’s revenue comes from its e-commerce sites. The company hopes to build on this momentum in 2011 by adding live chat and search filter systems to its websites. Since the beginning of this year, ADG has added search filters to three websites and live chat to all 11 of its websites. Within the next couple of months, ADG also intends to add more custom fixture products to its lineup.